My favourite article in the October issue of Martha Stewart Living is "Secrets of a Hardworking Kitchen" on page 94. It is filled to the brim with ideas, tips, strategies and solutions to keeping your kitchen running like a well-oiled machine - while still looking welcoming and attractive. 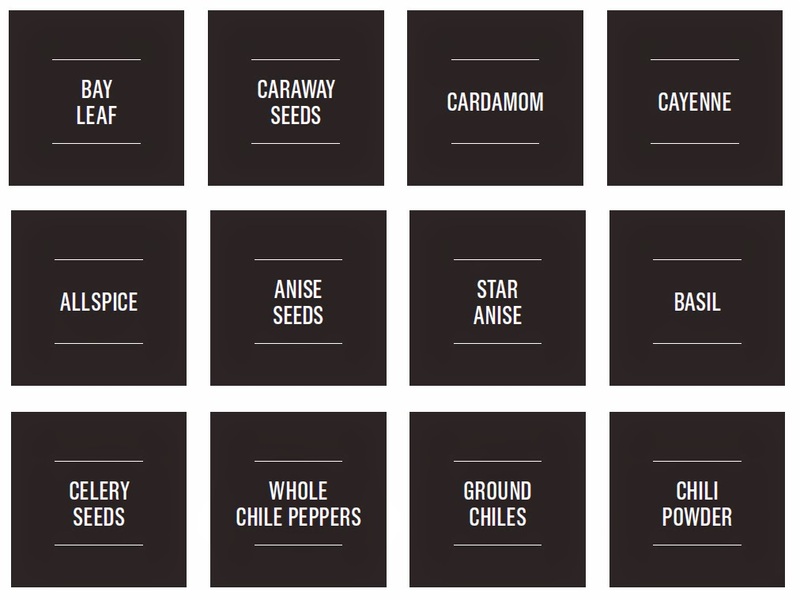 Careful readers may have noticed a small link to some free clip-art for spice-jar labels. Click here to download the PDF. Simply print them on adhesive paper, cut out the labels and affix them to the spice jars. There are 56 spices listed! Below is a sample. I loved the decorating anatomy of a kitchen in the Oct digital issue. It was my favorite.